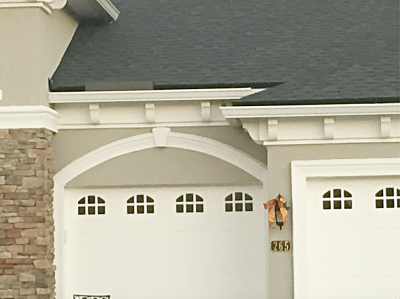 The K-style aluminum gutter systems we install are seamless and constructed of .027 gauge (6" gutter) or .032 gauge (7" gutter) aluminum. 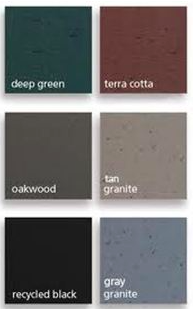 The aluminum has a factory baked on enamel finish, and is available in a variety of colors to coordinate with your home. 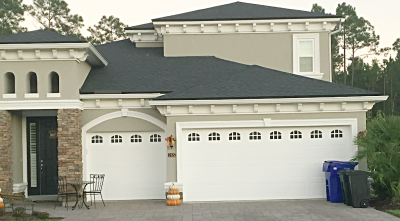 Our material is manufactured by Senox and backed by a 50 year manufacturers warranty. 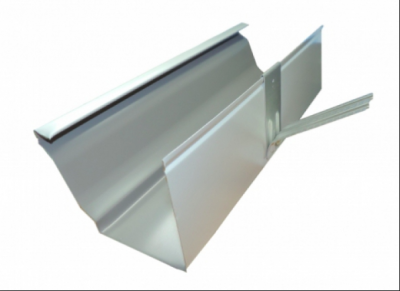 Our seamless gutter systems are mounted with professional quick screw hangers. 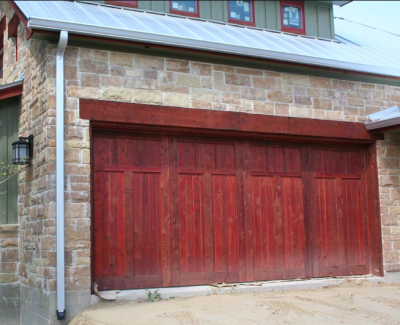 This is the strongest method of installation. 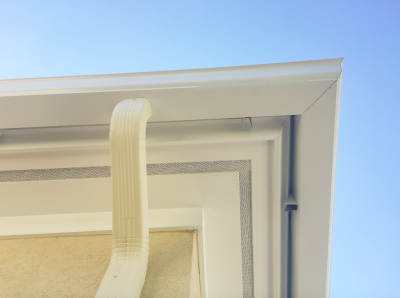 Our seamless gutter corners are hand mitered, which means better looking corners with no extra seams required. Hand mitered corners are cut and tabbed to fit together tightly. 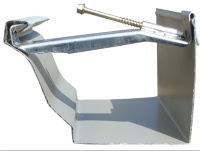 This method of mitering does not require a strip miter which is an easier less professional method of mitering. 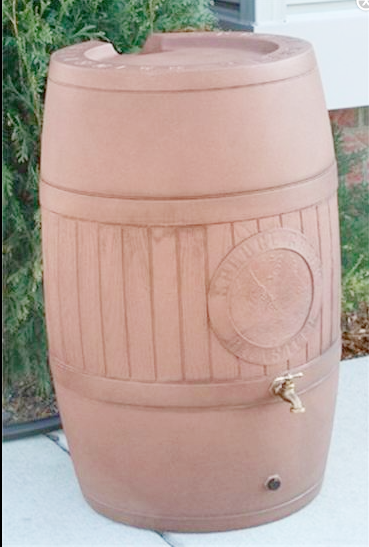 The seam is sealed with elastomeric caulk. 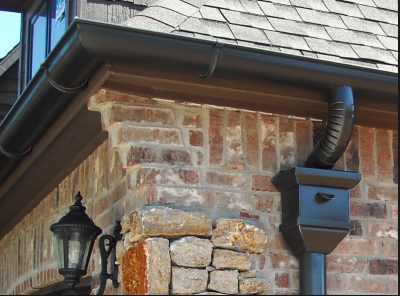 Our gutter systems are installed with splash guards in place everywhere that they are required. 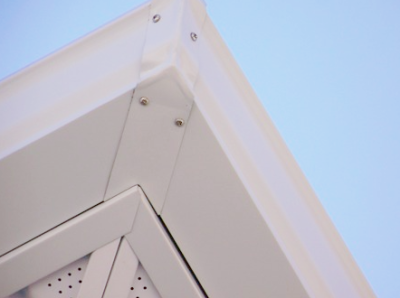 Splash Guards prevent water from overshooting the gutters in the valleys. 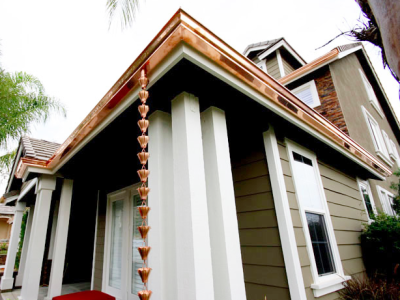 The amount of water that flows from a roof valley into a gutter is much greater than the amount of water that flows into the gutter from other sections of the roof. 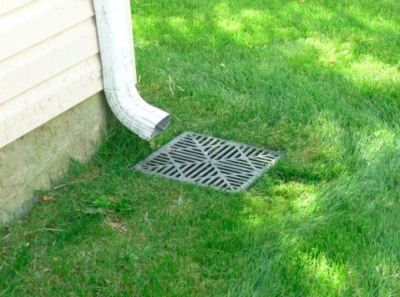 When rain water overshoots the gutter, it falls to the ground close to the foundation, causing ground erosion, foundation problems and landscape damage. 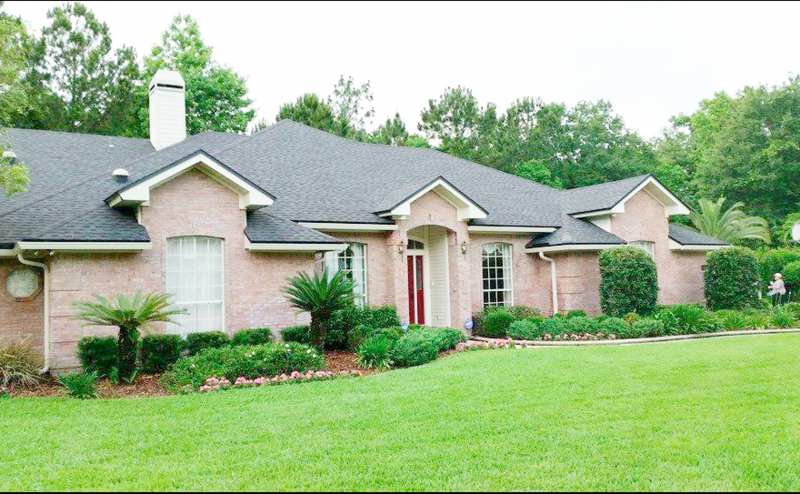 Our splash guards are color coordinated with your roof's drip edge so that they blend well with the home and do not detract from your home's curb appeal. 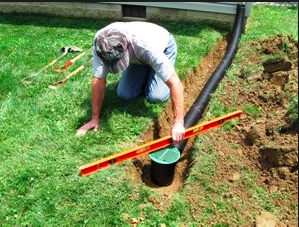 We offer underground drainage as a solution to move water away from an area that does not drain well without the need for unsightly downspout extensions. 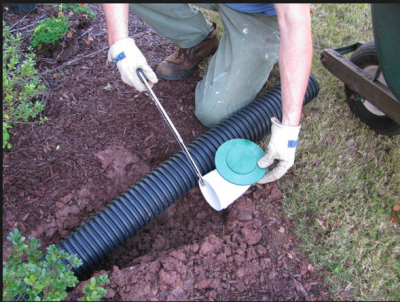 We use vinyl drainage pipe and pop-up drain emmitters. 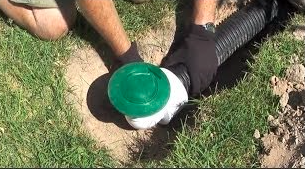 Pop-Up drainage Emitters act as the discharge point of a drainage system, opening easily when needed to allow water to flow freely from the pipe and away from structural foundations. 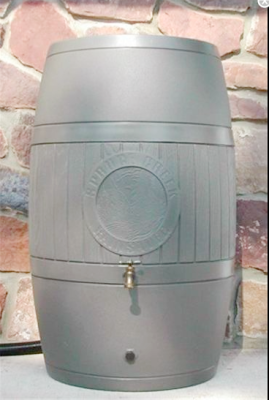 The patented spring-loaded cap opens with the hydrostatic pressure of water flowing through the drain pipe, then closes as the flow diminishes. 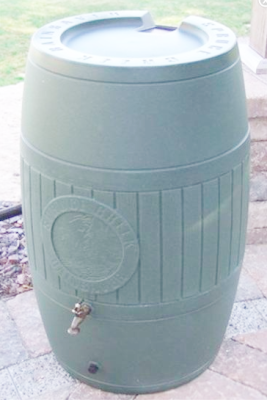 A rain barrel is a simple way to harvest rainwater by collecting water runoff from your roof. 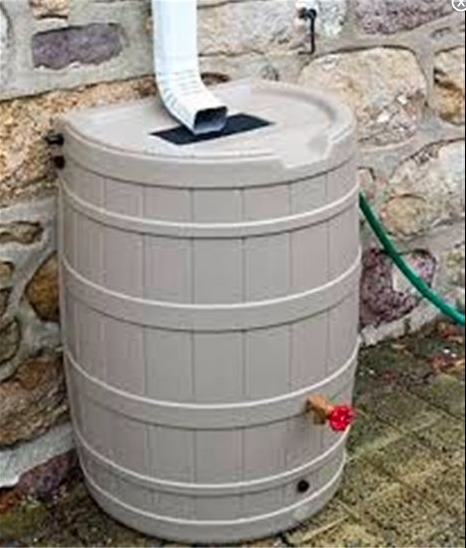 Rain barrels can be used anywhere water flows off your roof. 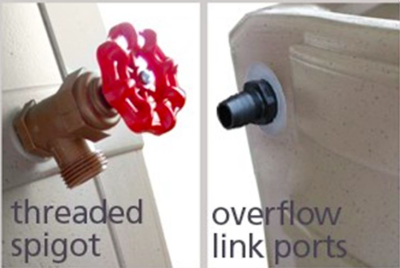 On a house with gutters a rain barrel can be attached to the downspout. 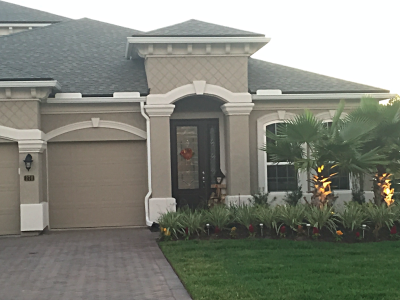 of children, pets and wildlife.